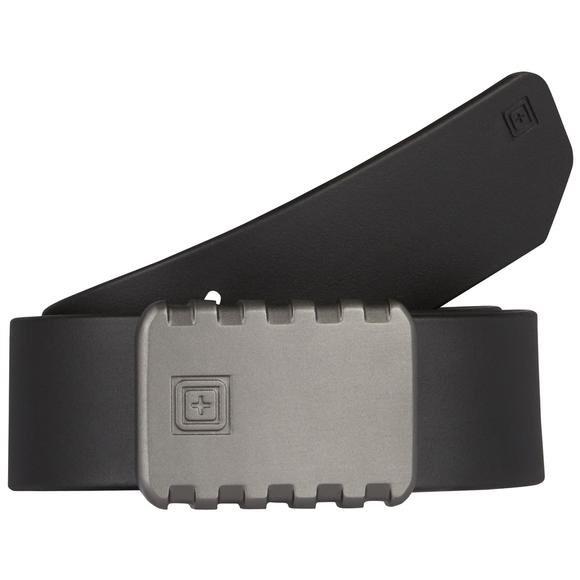 An exceptional tactical belt that provides enhanced load bearing capacity and lasting comfort, the 5.11 Tactical 1.5 in. Apex T-Rail Belt excels in any environment. An exceptional tactical belt that provides enhanced load bearing capacity and lasting comfort, the 5.11 Tactical 1.5 in. Apex T-Rail Belt excels in any environment. Crafted from B10 webbing with more than enough strength to support your holster and accessories, the T-Rail Belt offers a natural ergonomic curve for all day comfort, a custom cast aluminum belt buckle with dual retention prongs for a secure fit, and a TPU coating to prevent sagging, bending, or twisting. With a sharp and professional look, the Apex T-Rail is ideal for both on and off duty wear.